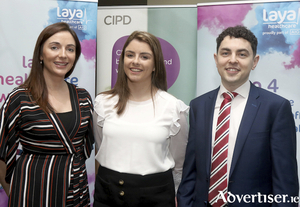 More than 70 HR professionals and business owners from local SMEs to large multinationals attended the recent employment law breakfast briefing hosted by Collins McNicholas Recruitment & HR Services Group. 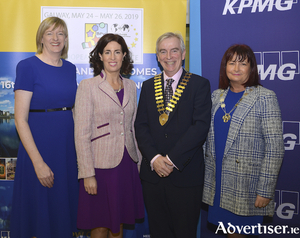 With the unemployment rate in Ireland currently sitting at five per cent, down 10 per cent from 2011, competition to attract and retain employees is at an all-time high. Brendan James Financial Services first began trading in 1995 under the previous principal Brendan James, and since 2010 Seán Mac Shéamais, the son of Brendan James, has continued the tradition of helping families and businesses build financial security and wealth. PwC last week celebrated the relocation of its Galway office to city centre state-of-the-art premises at One Galway Central. Galway City is set to host a new international medical technology conference later this year, with MedTech West Summit taking place at the Galmont Hotel & Spa this September. The event promises to be a content-driven conference that examines the key operational challenges and opportunities facing the medtech sector in Ireland and beyond. 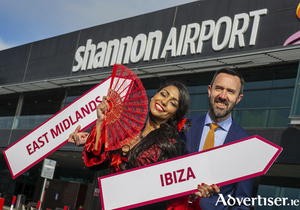 Shannon Airport passenger’s options have widened again this week with the launch of two new twice-weekly flights, bolstering both sun options and services into its biggest market, the UK. Gaelan Goodfellow, owner of Galway company BinStrap has been announced as a finalist in none other than six categories in this years National ‘Micro Business Awards’. Did you acquire a residential investment property that was vacant for a period of at least 12 months before it was first let? You may be able to claim a tax deduction for pre-letting expenses against rental income in the first year. The International Federation of Business and Professional Women (BPW International) has chosen NUI Galway as the location for their 16th European conference, promoting women’s professional and leadership potential at all levels. 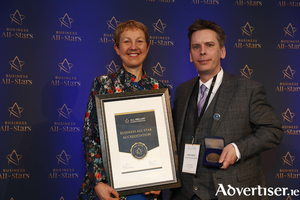 Leading Galway accountancy and tax consultants TJ Hyland & Co has been awarded Business All-Star accreditation for Best Family Business by The All-Ireland Business Foundation at an exclusive event for business leaders at Croke Park. Galway’s Yourells Hair Group which has three locations in Galway, Eyre Street, Moycullen and Oranmore has taken home Silver for the Best Irish Hair Salon Category at the IMAGE Beauty Of Business Awards for 2019. A new specialist social media agency, Food Social, working exclusively with the food and hospitality industry has just been launched in Galway. Food PR & Communications is an award-winning communications agency specialising in food, drink and hospitality, which was set up in 2004. 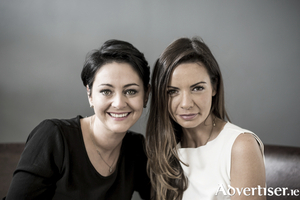 Food PR works alongside some of the biggest names in food and hospitality in Ireland, and seeing the need for a social media add-on service have developed the newly-launched independent agency Food Social. 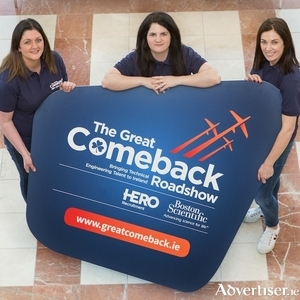 In a unique recruitment strategy, Boston Scientific (global leader medical device manufacturer), and their recruitment partner, HERO Recruitment have created a Great Comeback Roadshow as a proactive recruiting strategy, designed to encourage skilled talent in Australia to relocate to or come home to Ireland. 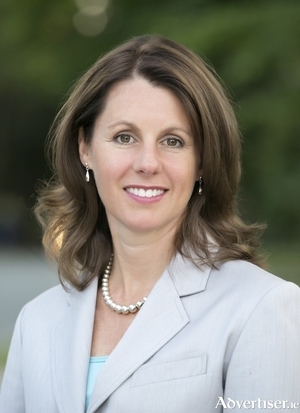 Dr Heidi Gardner, Distinguished Fellow at Harvard Law School, will visit NUI Galway this Tuesday, March 12 to give a keynote presentation on her best-selling book “Smart Collaboration: How Professionals and Their Firms Succeed by Breaking Down Silos” which was published in 2017 by Harvard Business Press and became a Washington Post bestseller. 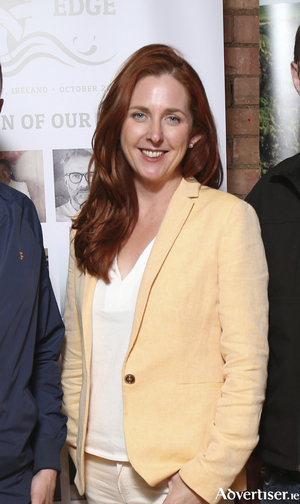 Olivia Collins, agency director and owner at Food PR & Communications, is celebrating 15 years in business this year. MidWestern Networks (MWN) is a Tuam based IT installation and support service. It is owned and managed by John Root, a Microsoft-qualified network technician specialising in physical network design and cloud technologies. MWN also has other technicians who do other specific roles in support or installations. MWN’S mission is to provide IT services to small and medium enterprises who do not have their own ‘in house’ IT support personnel. Ireland West Airport have announced that Ryanair will operate a new weekly service to Tenerife every Thursday during the forthcoming winter season. The largest of the seven Canary Islands, Tenerife sits in the Atlantic Ocean just off the coast of North Africa and enjoys eternal sunshine – one of the reasons that makes this beautiful island such a hotspot for millions of tourists every year. Five million people visit Tenerife every year making it the leading destination in the Canary Islands. Tenerife is the largest of the Canary Islands with an annual average temperature of 22 degrees. OCC Construction based in Galway which undertakes commercial building contracts has donated over €90,000 to charity organisations within Ireland since its inception in 2010. As a team of 12 OCC employees each nominate a charity to share a pot of over €20,000 donated by OCC construction. Anne Downey, a long serving Board Member and Director of WestBIC, has now taken up the helm as Chair of WestBIC, the Business Innovation Centre for the West/North West region. 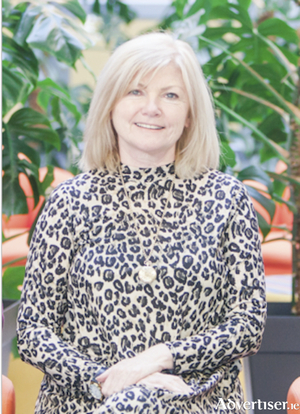 She takes over as WestBIC Chair, following the untimely passing of its previous Chair, Dr Chris Coughlan, who championed WestBIC’s role in supporting entrepreneurs to convert and scale their innovative concepts into high potential start-ups. Galway businesses North and West Coast Links and Galway Bay Golf resort have joined Fáilte Ireland in Belfast this week to showcase the best of Irish courses to golfers from Northern Ireland in a bid to grow visitor numbers from the North. Golf tourism is a hugely lucrative sector for Ireland and, as a key driver of visitors from Northern Ireland, has been identified by Fáilte Ireland as a priority target as it helps prepare businesses for the impact of Brexit.